It has been an eventful Saturday for us. 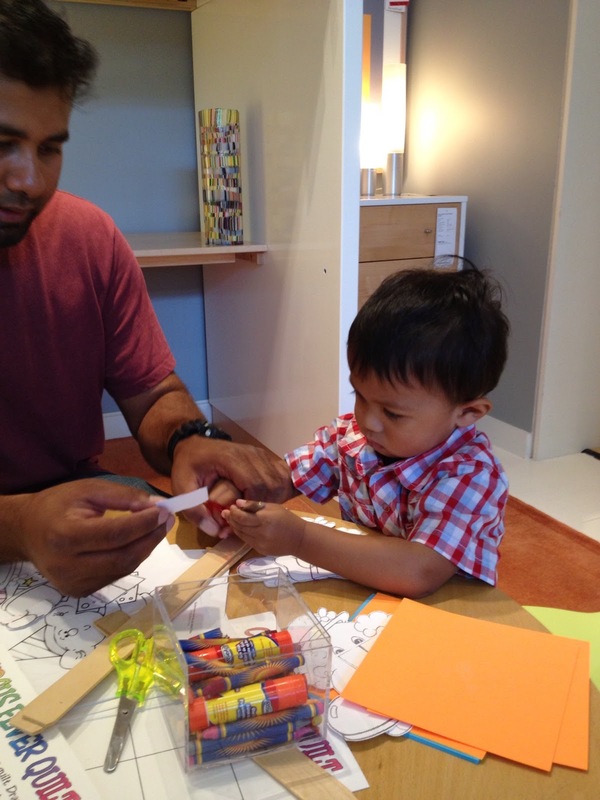 We took Elias to a Kids Book and Crafts Party hosted by Room and Board at South Coast Plaza Village. 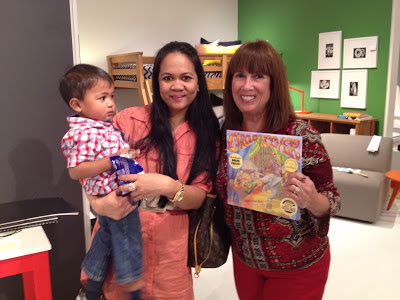 We got to meet local children's author Alva Sachs as she reads from her award-winning books, Circus Fever and I'm 5. We did some clown puppet crafts and coloring. It was very nice of Room and Board to host such event and provided some kid friendly snacks for everyone. 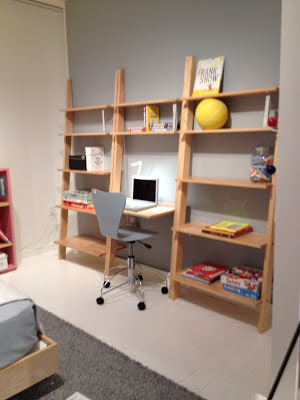 How cute are these kids-sized desk and chair! I really want one for Elias! That was nice! I love to see children read. Aww, what a fun day! awww such a cute post :)! 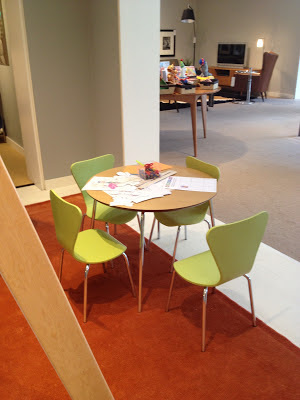 i love when they make adult furniture minitursized size for kids its so cute heheh! Hi, Lala. So nice to meet you. Elias is so adorable. That sounds like a wonderful day. And Room and Board looks great! I am going to spend more time on their site. Ugh I went through a terrible time buying an "office" chair online. We need more companies making quality products that look nice too. If you ever in the market of buying a office or computer chair do not buy it from Cool Chairz. aww it's good that you guys had a great time. Your son is adorable. Summer reading is one of the fav activities me and my son enjoy, we go to the library every other day. Awww! Sounds like a marvelous day! Such a fun event!! YOur little man is so cute! Hope you are having a wonderful day! Sounds like such a fun day! A book and craft party sounds like a great idea for kids! so pretty ! beautiful event, love your son! Books and crafts! Sounds like my kind of thing!